One of the most important things you can do for your website is to make sure you have some type of monitoring. The last thing you want is to get an email or call from an irate customer because your site is down. Here are four web-based monitoring tools that alert you when your site is down. They also provide many other features, and one, Sucuri, checks your site for attacks and malware. They are listed here in no particular order. Checks every 15 minutes, sends email and sms alerts, daily uptime reports (including graphs), and unlimited sites. 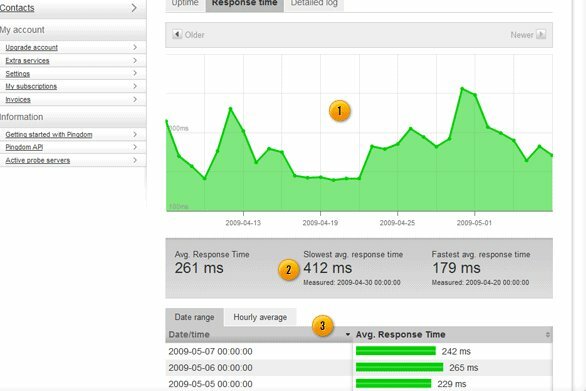 Allows users to have 1 website and provides sms, email, and twitter alerts, uptime reports, and error analysis. Includes integrity monitoring, DNS and Whois hijacking monitoring, website defacement, malware, and blacklist detection. Offers 1 monitor, 30/60 minute checks, uptime reports, statistics page, and multiple protocols.